I am a 30 year old Chiltern trained nanny - maternity nurse - night nanny - sleep consultant and mother of one. I live in Rothwell, Kettering with my husband and 4 year old boy. I am looking for a new family /families to join for night time care at present. Some availability for daytimes ad hoc. My childcare experience comes from a variety of roles I have completed since my training, including working as a Supply Nursery Nurse for a Specialist Recruitment Firm in a variety of nurseries and primary schools which has taught me to become very adaptable. Previously I have nannied in daily, nightly, live-in, live-out & ad-hoc capacities including proxy-parenting (24 hour care).The variety of infants I have cared for has allowed me to have lots of sole charge of twins And triplets which is a particular area of interest to me and I enjoy the challenge this holds. I enjoy sharing knowledge by observing, supporting and advising parents on aspects of childcare relevant at the time such as feeding methods, sleeping and routines. I do support natural breastfeeding, and encourage this when possible. I have knowledge and experience of babies with Reflux, Colic, Developmental Delay, Dietary Requirements and Allergies. And I am happy to support the infant and family through these difficulties and offer advice, support and suggestions that may help. At Sheffield Hallam University, I was privileged as part of my nurse training to take on practical placements inside Oncology and General Paediatric Wards as well as spending time with School Nurses caring for newborns to 18 years of age. I take my professional role seriously and act discreetly and respectfully in clients homes giving the family the privacy and space they require whilst on duty. I endeavour to meet all the needs of the family and leave behind a relaxed and contented family. 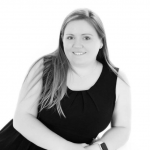 I am a Chiltern trained nanny with a maternity nursing qualification, also trained as a sleep trainer. I am self - employed and possess a current CRB/DBS, first aid certificate and am ofsted registered. Emergency care, one off jobs, ad hoc childcare, overnights. SLEEP CONSULTATIONS - newborns - 5 years of age. (0-6 months -Help with setting routines day and night and advising on how to get your little ones sleeping through. From 6 months - 5 years plan for sleep training) Only £50! Dependant on hours and days required. Below are the latest reviews for nannysapphire. Please note that reviews represent the subjective opinions of other Childcare.co.uk users and not of Childcare.co.uk. Parents must carry out their own checks and references on childcare providers to ensure that they are completely happy before enaging in the use of their services. Sapphire helped us when my 3rd child was just a few weeks old along with my 22 month old and 3 year old. She had my baby in a routine immediately that she (baby) responded really well to and Sapphire wrote out the timings for me to try and follow on the days she wasn’t working for us. Sapphire helped me to juggle all 3 children and sometimes had them all by herself. My older children also responded really well to a structured meal & snack time, eating their meals which Sapphire was happy to prepare for them (she has good nutritional knowledge and competent cooking skills), with very little fuss. They would go for their naps, up to the bath or bed time as and when they were asked. Sapphire has a gentle but assertive manner, helped me to get the best behaviour out of my children and understands their programming. She was willing to share tips with me to overcome any difficulties or to get the best out of everyone. She is totally unphased by juggling young children and is happy to get involved with any activities I needed her to, including swimming. The children enjoyed playing with sapphire both free play and more structured learning. She also drives a safe car and was willing to take them out and about to local activity centres. Her time management was very good, not only arriving at work but throughout the day, her awareness of getting the children ready to leave at a certain time and helping to get their bags ready, or being back for nap times, ready to cook meals etc. She is a safe and very competent pair of hands to help with childcare. Sapphire was an absolute star. Helped us out in an emergency and not only looked after and sing to my baby but also my partner who was laid up in bed. We contacted Sapphire the night before we needed emergency care and she went above and beyond to ensure we weren't stranded. We will definitely look at using Sapphire again, hopefully this time given her much more notice. Sapphire looked after our twin three-year-olds for a week and a half assignment and we were extremely pleased at how quickly she established a rapport with the children. Sapphire has lots of ideas for fun and learning play activities, both indoors and outdoors, including taking the children on trips to parks. We always had confidence that the children were in very safe, experienced hands. Sapphire also gave us lots of great advice along the way on a variety of subjects including toilet-training and sleeping. We will be asking her to return before long for sleep consultations. Based on all the above points we thoroughly recommend Sapphire. Sapphire is a delight and my son absolutely adores her. He is always so excited when he knows she is coming. She is very knowledgeable and qualified. She is easy to contact, responsive, and timely. I trust her immensely and know I'm leaving my child in good hands. I would highly recommend Sapphire to anyone looking for excellent childcare.